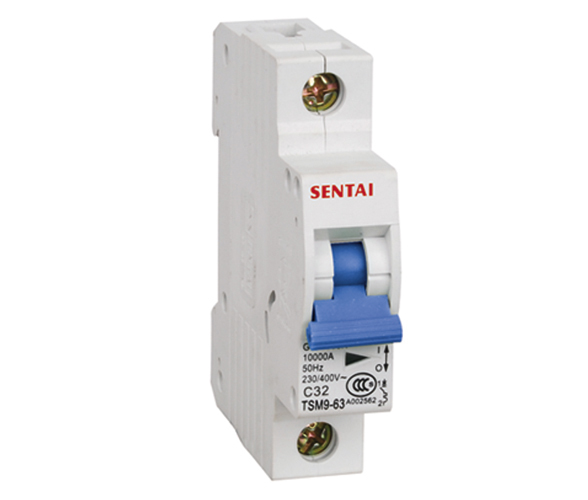 TSM9-63 series Mini Circuit Breaker is the new product adopted the newest modern high technology. lts excellent performance is depending on the quick trip and strong ability of exterminating the electric arc, and it enhances the safeness in the case of limited short-circuit. 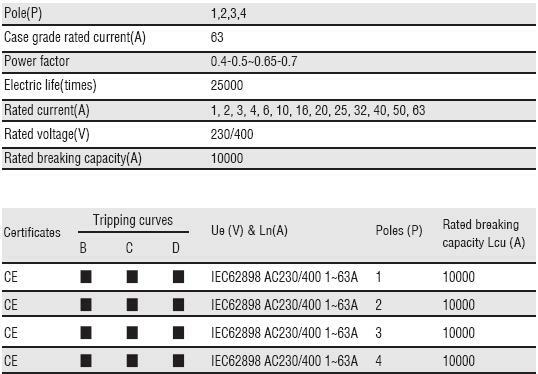 The brilliant characteristic of it's short-circuit current is superior to the related requirement of IEC60989. 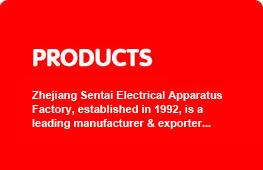 The electrical endurance of the products is well improved, which reduce the destruction to the siatribution system or equipments. 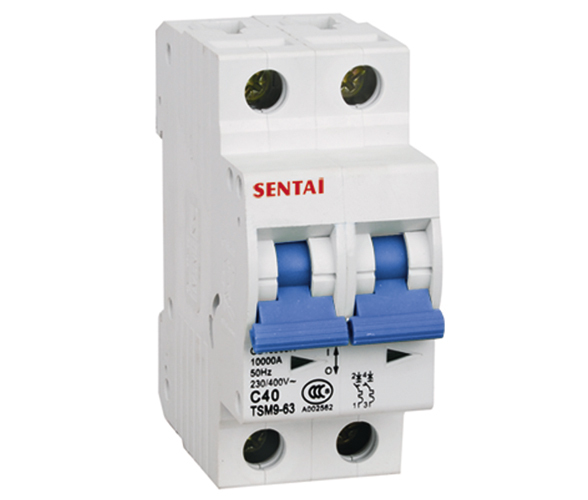 The products is mainly used in the circuit which is AC 50/60Hz, voltage ≤400V and rated current ≤63A.It is the best choice of the building distribution system. A) The operation characteristic can be made as B.C and D style. It can meet different demands. 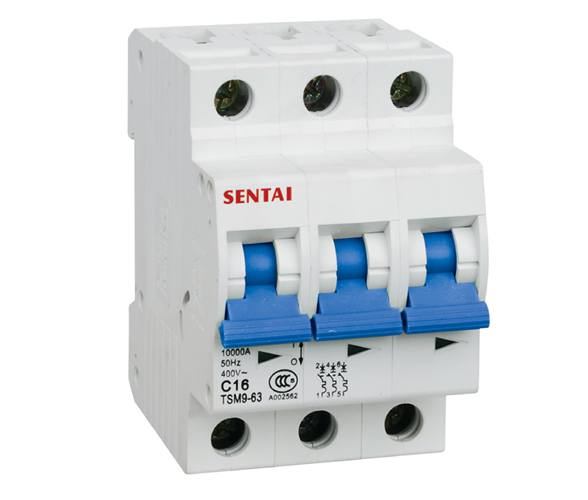 B) Combined with earth leakage protect equipment, can be used as earth leakage circuit breaker. C) Combined with isolated tripping instrument or voltage shortage tripping instrument, it can realize far distance control and voltage shortage protection.